and many more engineered plastics. 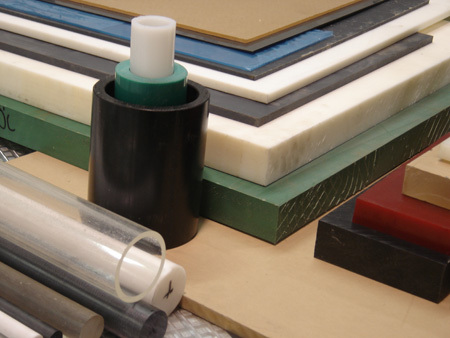 Our staff will consult with you to provide a variety of thermoplastic sheets or bar stock for any demanding applications you may have. We could also provide you with low quantity prototypes from our CNC division, large production runs, or assembled structures if required. In the past few years, water jet technology has revolutionized a segment of the architectural and interior design of surfaces. By cutting, laminating and combining media such as stone, glass, metal, tile, wood, carpet, etc. we can create surfaces that would have been prohibitively expensive only a few years ago. These intricate designs can be cut with our CNC water jet and router equipment efficiently and quickly. Our staff, by working directly with architects, interior designers and design engineers, can assist you from the inception to installation phases.